10 Attractive Dwarf Flowering Shrubs With Great Color! 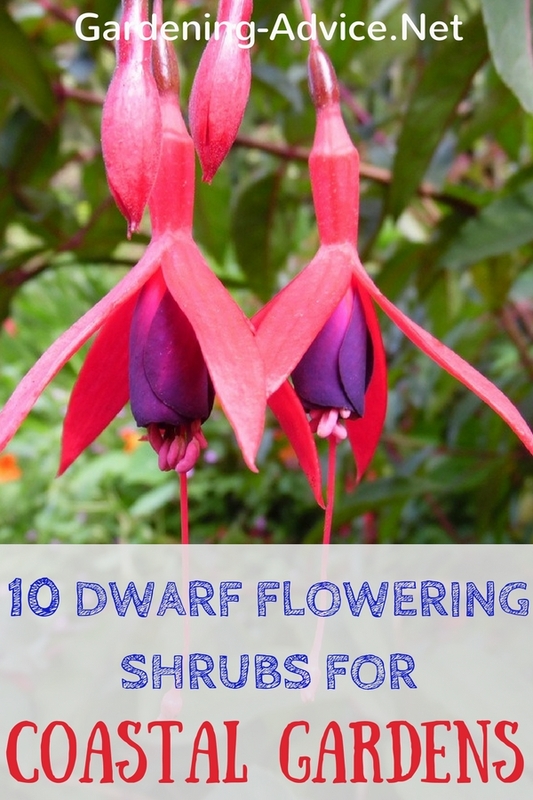 10 Dwarf Flowering Shrubs that will grow in coastal gardens. These low growing shrubs will add a splash of color to any garden. Try this selection of 10 different types of flowering shrubs in your coastal garden. They are tolerant of wind and salt spray although some of them might need a bit of protection from a hedge or wall to thrive. Most of them tolerate the sandy soils that are so common near the sea. Of course, they are also suitable for any other garden. 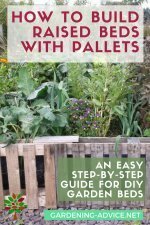 Try these small flowering shrubs are for flower beds, rockeries, and mixed borders. This deciduous, compact shrub grows about 2-3 ft high and wide depending on variety. These dwarf flowering shrubs like a moist but well-drained soil and thrive in full sun to part shade. This shrub can deal well with sea winds and requires little shelter. The pretty flowers appear over a long period from early summer to autumn. 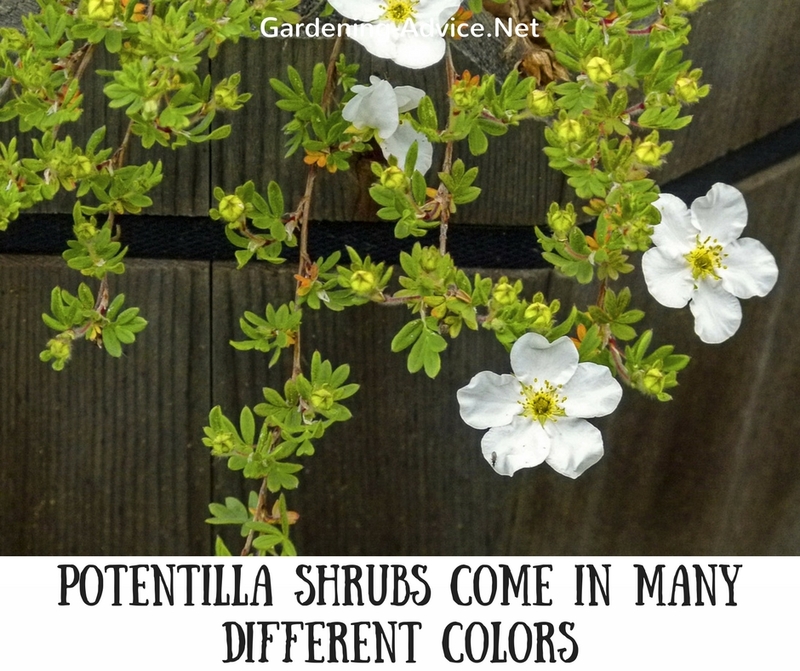 Popular Potentilla varieties are 'Abbotswood' (white), 'Goldfinger' (yellow), 'Primrose Beauty' (pale yellow), 'Tangerine' (orange) or 'Red Ace' (red). Compact Fuchsias are lovely deciduous, dwarf flowering shrubs for part-shade to full sun. 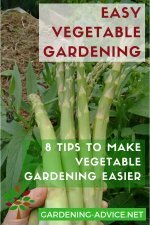 They can be grown in flower beds, mixed borders or containers. These dwarf bushes prefer a moist but well-drained soil. 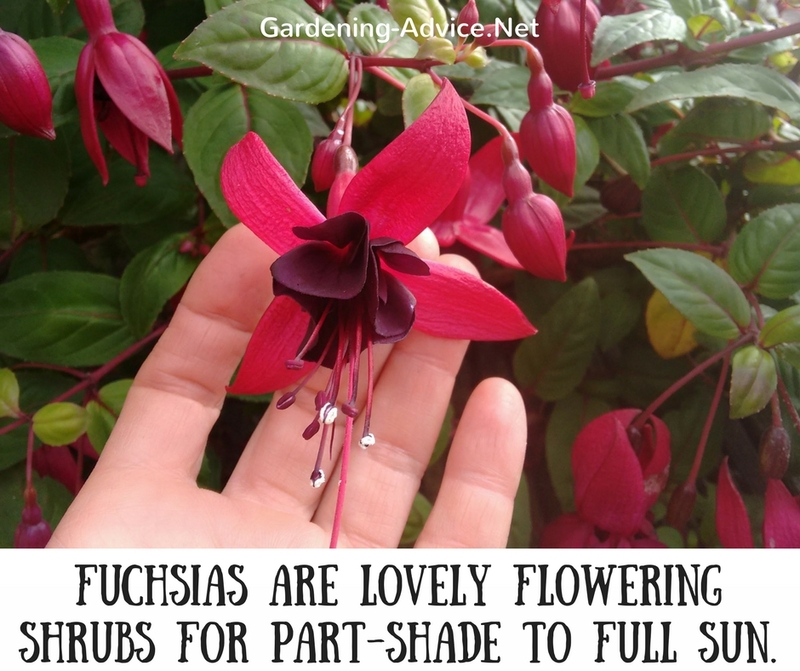 Some Fuchsia varieties are more frost tender than others. A thick layer of mulch can help to avoid too much damage. A great variety for coastal gardens is Fuchsia 'Mrs. Popple'. This plant forms an upright bush up to 3 feet high and flowers from mid-summer till autumn. Other popular dwarf Fuchsia varieties: 'Beacon', 'Lady Thumb', 'Tom Thumb', 'Genii' (golden foliage), 'Sunray' (variegated foliage with a pink tinge), 'Dollar Princess', 'Alice Hoffmann'. These ground-covering roses grow up to 3 ft high and wide. They come pink, coral, amber, white, yellow and red. These healthy and low-maintenance roses are great in containers, rockeries or flower beds. 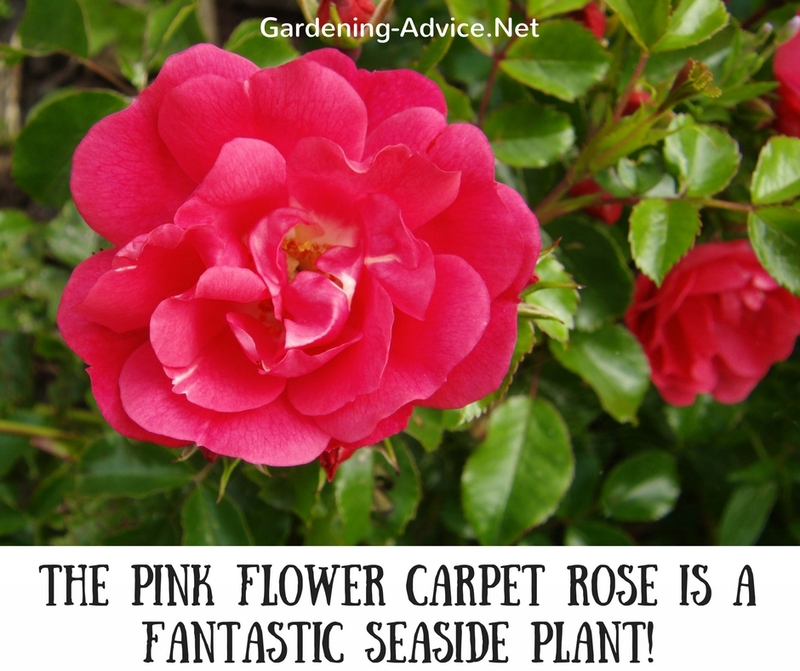 The pink Flower Carpet Rose is a fantastic seaside plant. We had great success with this rose in the most exposed gardens. This carpet rose seems to be coping with seaside conditions best followed by the red velvet Flower Carpet Rose. Choose a reasonably well-drained spot in full sun to part-shade for these dwarf flowering shrubs. These roses are very healthy and hardly need spraying against diseases. Dwarf, evergreen azaleas are a great addition to any garden. These spring flowering shrubs grow 2 to 3 feet high and wide and need a moist but well-drained, acidic soil. They require some shelter from winds so plant them inside a wall, hedge or among other shrubs if you have an exposed garden. 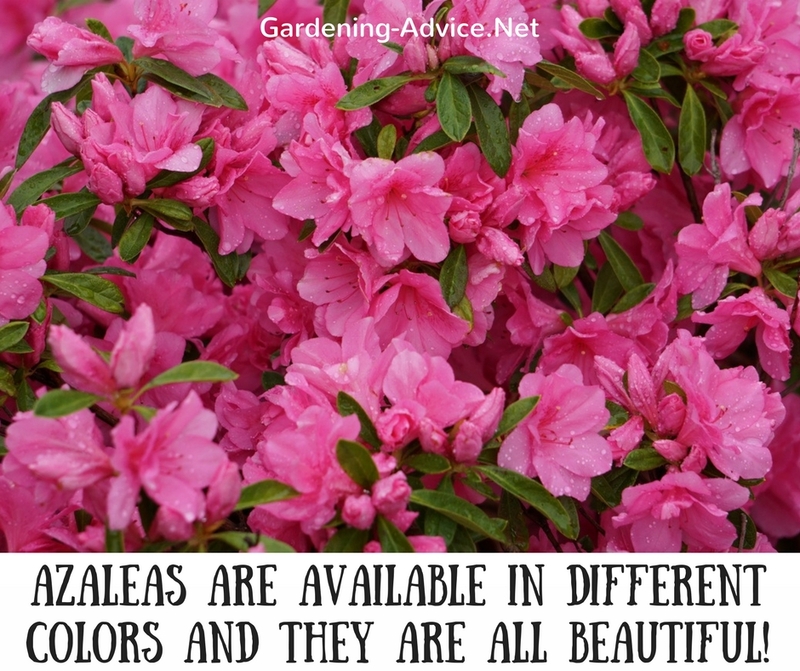 Many different azalea varieties are available and they are all beautiful! Choose from pink, red, purple or white azalea bushes to suit your color scheme and taste. 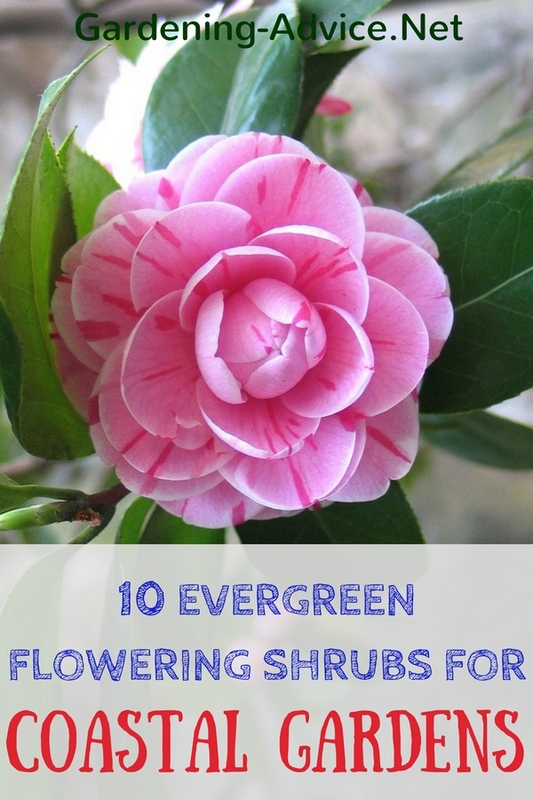 These evergreen, small flowering shrubs grow approx. 2 feet high and 3 feet wide. They prefer a well-drained, neutral to acidic soil. Diosma grows best in part-shade to full sun. 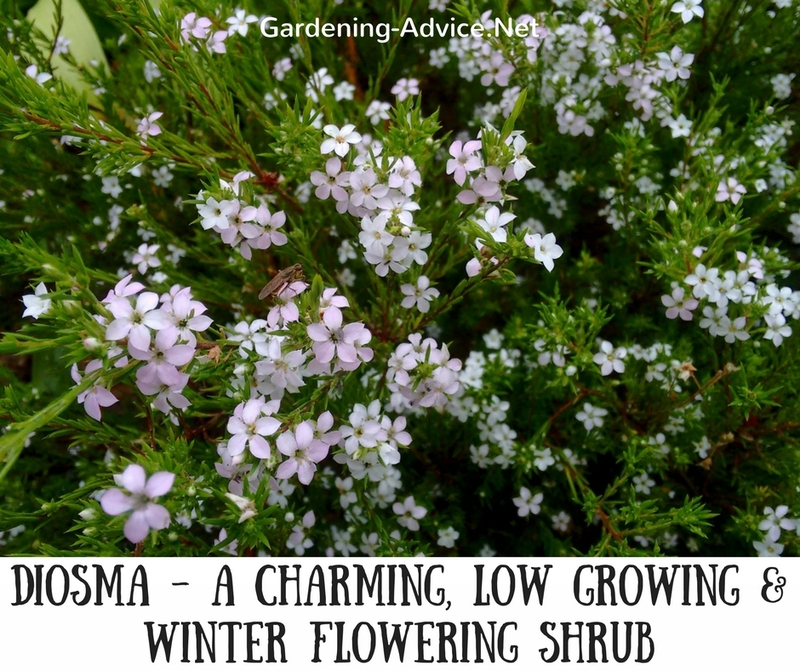 These charming, low growing shrubs start with flowering in late winter until late spring. The pinky-white flowers are quite small but countless. They grow very well in seaside gardens if they are provided with a little bit of shelter. Diosma is suitable for dry banks, rockeries, flower beds and in pots. 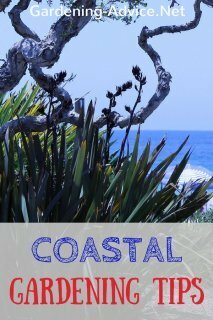 They are drought-tolerant and a great ground-cover plant. 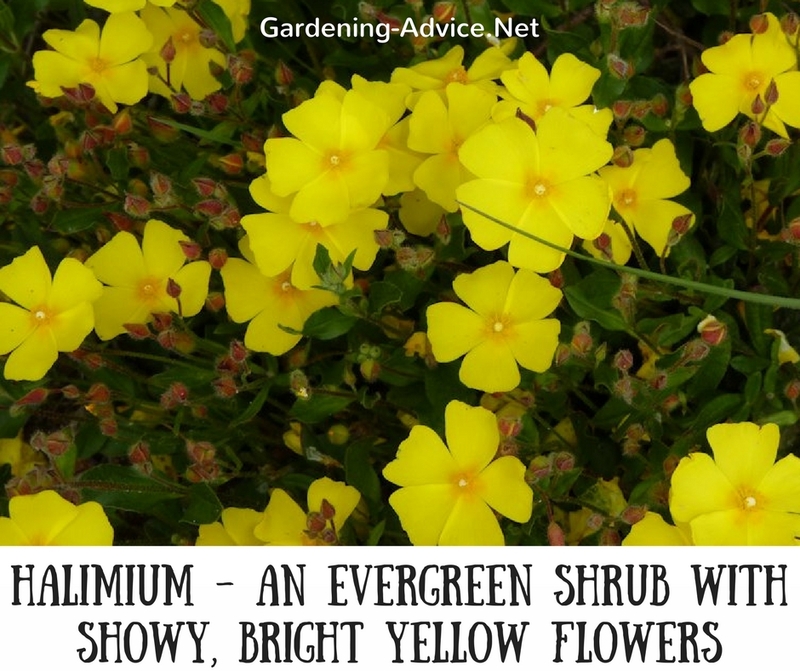 This is a lovely, evergreen shrub with showy, bright yellow flowers during the summer. Halimium grows about 1.5 feet high and wide and is a fantastic ground-cover plant for slopes and banks. They are also very pretty in rockeries and mixed borders. 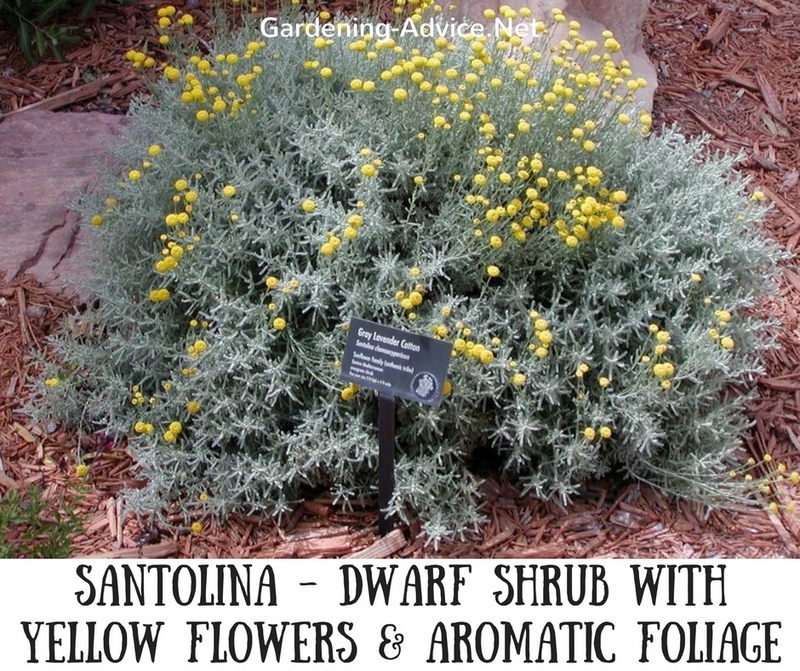 These dwarf flowering shrubs grow best in a sandy soil in full sun. Also a great plant for seaside gardening. This bush requires little shelter from wind. This dwarf Escallonia grows about 2 feet high and will cover 3 feet in width. The glossy foliage sets off the lovely tubular, red flowers that appear during the summer. 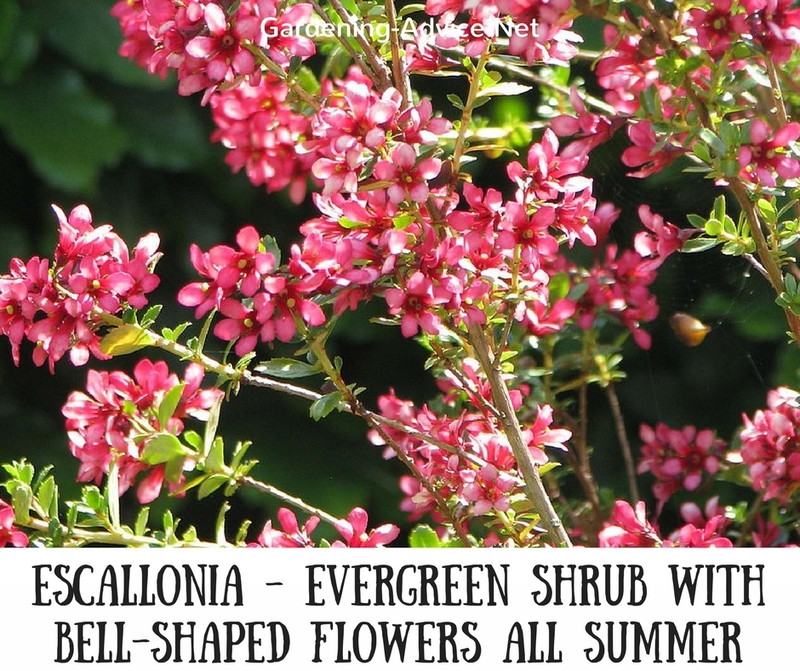 Escallonia shrubs prefer a well-drained soil in full sun. Escallonia 'Red Dream' is suitable for small beds and rockeries. 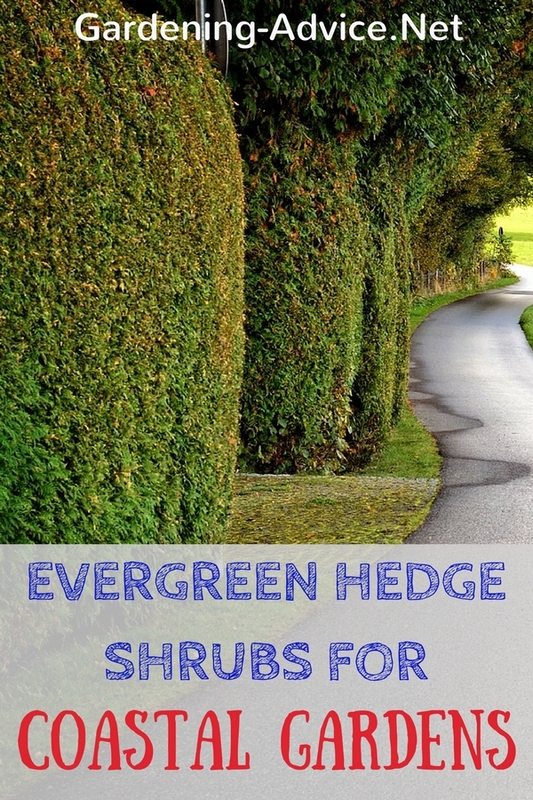 It is also an excellent plant for a low hedge. Although they are not quite as tolerant of sea winds as its bigger cousin, Escallonia macrantha, it still makes a nice, ornamental seaside plant if given a little bit of protection from wind. This evergreen, mat-forming shrub only reaches a height of 6 inches but can spread 2-3 feet wide. 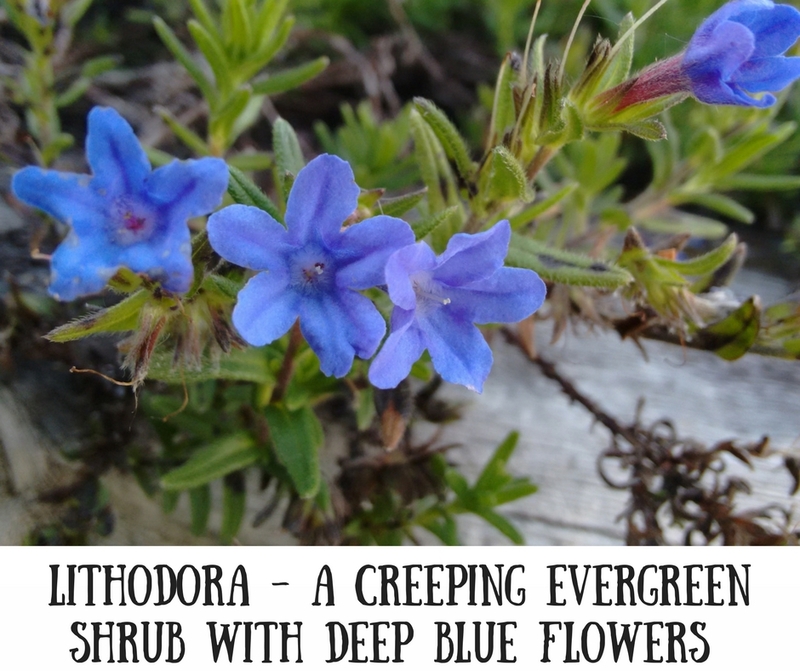 This makes Lithodora plants an excellent choice for covering banks and gravel beds. They are also great for hanging over walls and as a rock garden plant. 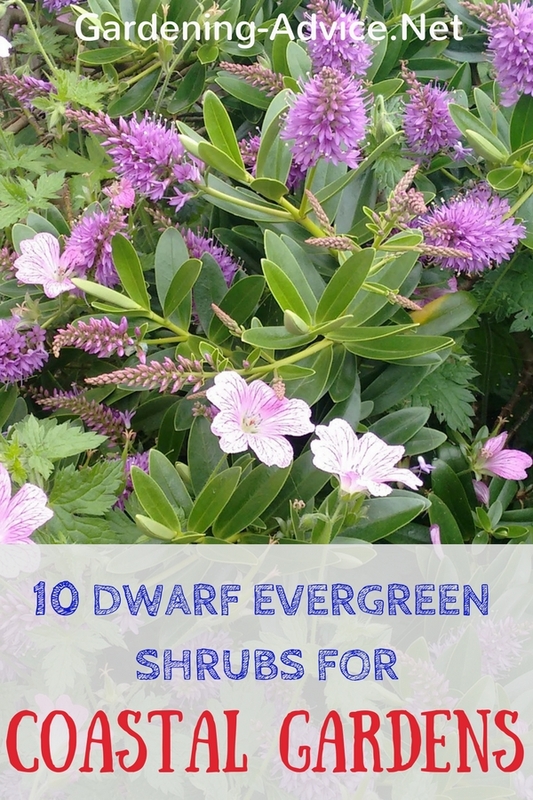 These are excellent dwarf flowering shrubs! Pretty dark blue flowers appear from spring to early summer. They prefer a humus-rich, acid to neutral soil in full sun. 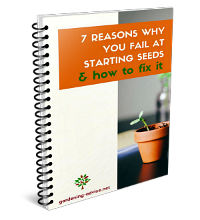 A well-drained soil is essential for success. Lithodora is a great seaside plant once provided with adequate drainage. They are also available in white (Lithodora diffusa 'Alba'). Lithodora 'Star' has blue and white flowers. This is also an evergreen plant with silvery, aromatic foliage. They can reach a height of 2 feet and a spread of 3 feet. Yellow button-like flowers appear during the summer. Santolia shrubs prefer a well-drained soil in full sun and benefit from a light pruning after flowering.This a great seaside plant for rockeries, gravel gardens, banks, and slopes. Heathers come in many different colors, usually in shades of white, pink and purple. Size depends on variety and ranges from 5 inches to 2 feet high. These small evergreen flowering shrubs are great ground-cover plants for rockeries, flower beds, banks, and slopes. They are suitable for containers and window-boxes. Heathers prefer an acidic, moist but well-drained soil in full sun. 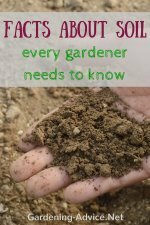 Important for container growing is that you use an ericaceous potting soil that contains no lime! 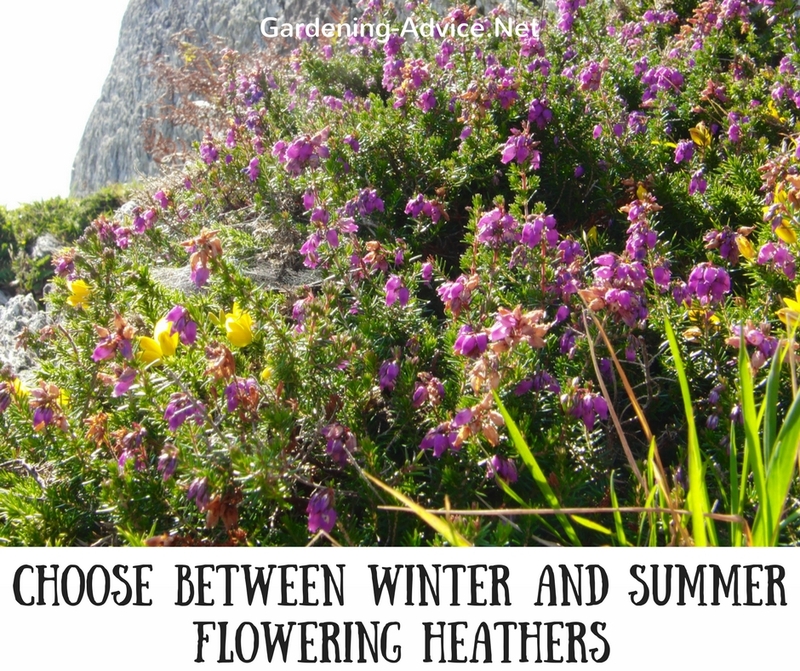 Heathers are available as winter and spring flowering varieties or as summer flowering varieties. Erica varieties make better seaside plants than callunas. They can tolerate more wind and salt spray and are less prone to wind burn.